I had the great pleasure of having Dr. Lazzaro as my surgeon for the Nuss Procedure. He took a situation that was a serious and scary thing and gave me peace of mind about it. Dr. Lazzaro is top notch, very patient and informative. He explained all that was going on and what he and his team would be doing. I had read about other people who had this with other surgeons and ran into problems afterwards but I felt Dr. Lazzaro would give me 100% on this and he did. 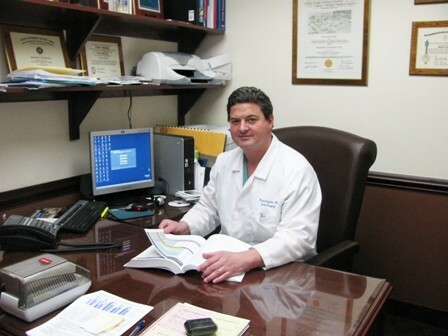 His history of other procedures shows just how focused and detailed he is in what he does. I couldn't find a doctor in Central Florida to do the Nuss Procedure on me as I am an adult but I am glad that I found Dr. Lazzaro and was in his hands. The surgery went great and I can breathe normal now and am not fatigued anymore. The chest structure looks amazing too! While in the post recovery Dr. Lazzaro was with me every step of the way and helped me recover. I can't thank Dr. Lazzaro enough, and I'd recommend anyone in NY area or anywhere who needs this procedure to see Dr. Richard Lazzaro, you are in excellent hands with him.